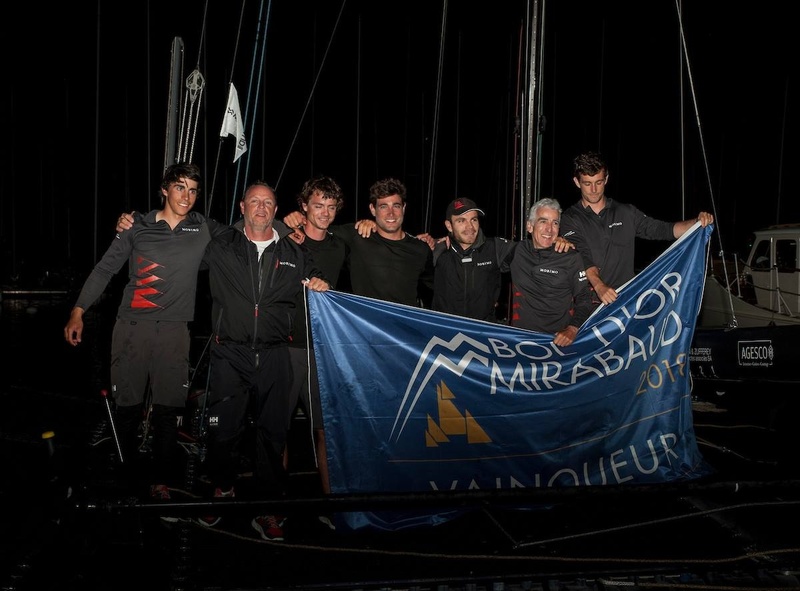 Photos: Loris von Siebenthal & Nicolas Jutzi / Bol d'Or Mirabaud, Winners by Mobimo Team fb . 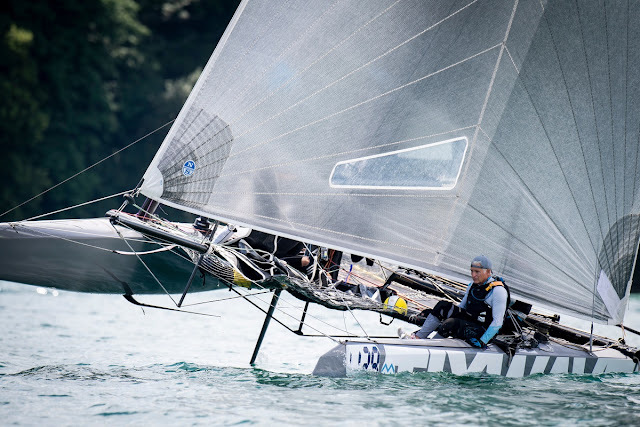 More images at boldormirabaud.ch/en-ch/gallery/bom-2018 . 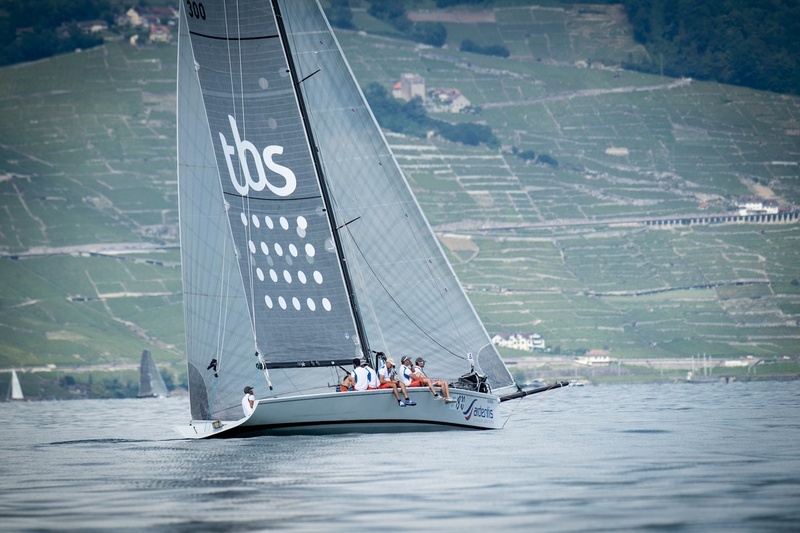 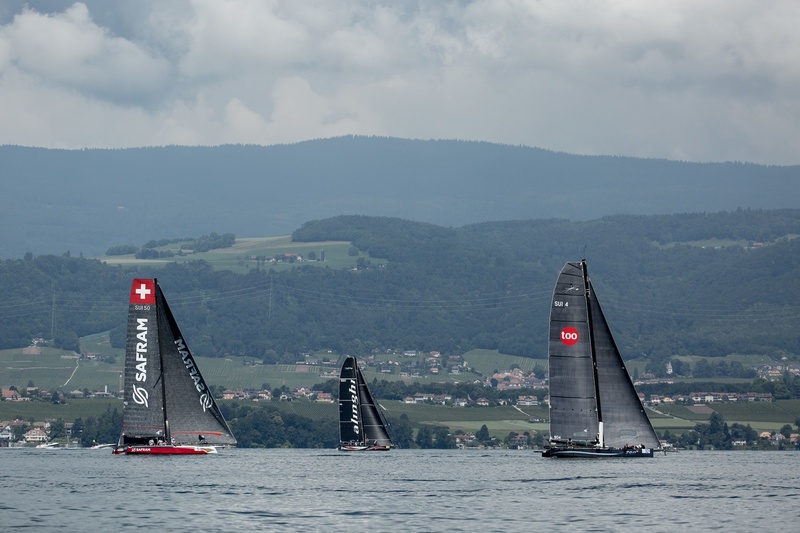 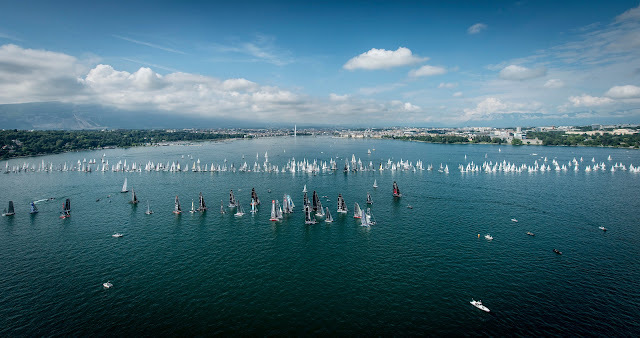 Light winds conditions at Lake Geneva for this 2018 Bol d'Or Mirabaud edition. 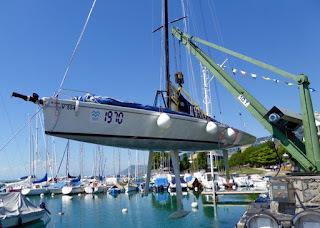 14hs:14m:02s was the elapsed time for Mobimo D35 to win the Blue ribbon plus the M1 Class (Mostly Decision 35 cats). Good performance for the only SL 33, Orange Utan: 14hs 39:18. 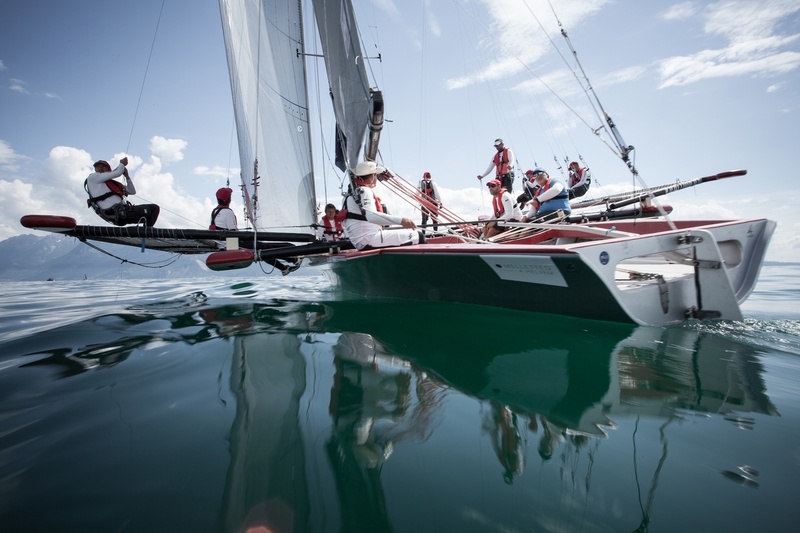 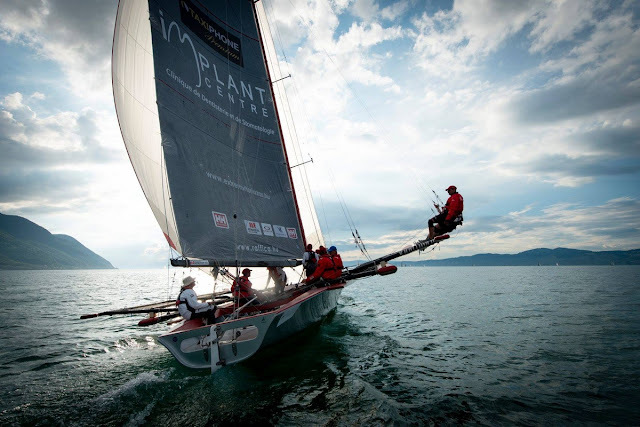 On the M2 Class (Majority of Ventilo M2 Cats) Swiss Medical Network was the winner finishing in 14hs:47m:07s. & left ) timing 17:30:55, more than 3hs behind the first D35 Multihull and also ahead some M2. 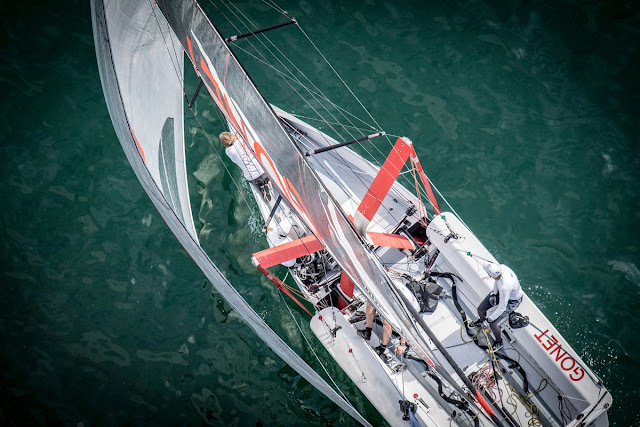 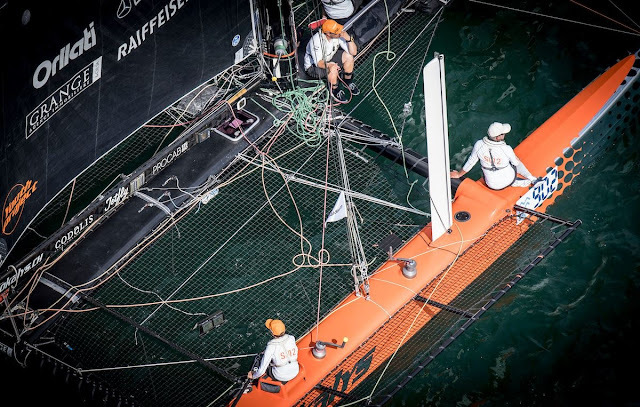 Second Monohull for Taxicom Premium Raffica, the trap mono photos above. 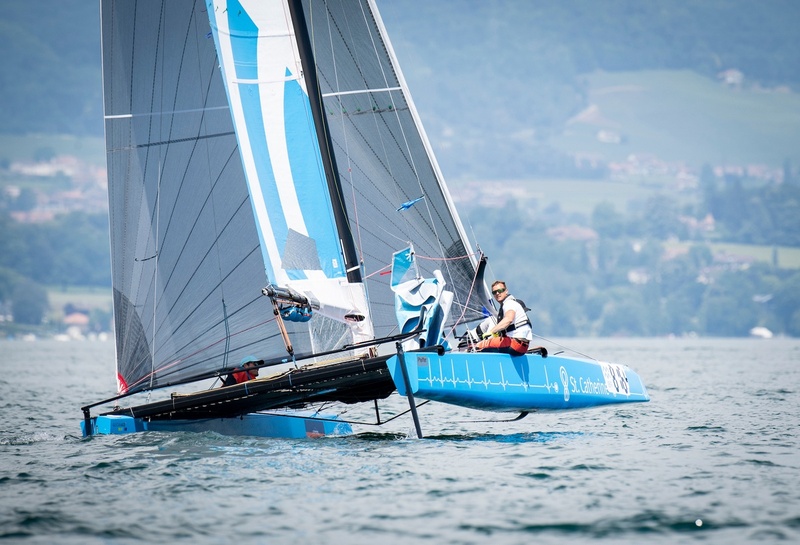 Foilers had no chance again, and we would like to see if the new D35 Foiler version can actually keep up to current version in these light conditions. 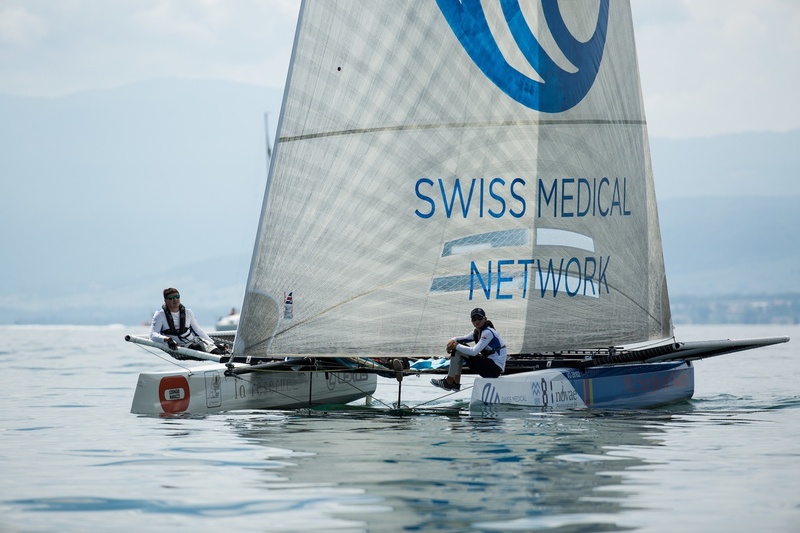 Smallers Foiler cats in the M2 Class: 4 Easy to Fly (check Foil catplatform above) were present, overall results 33, 39 , 41, 43. 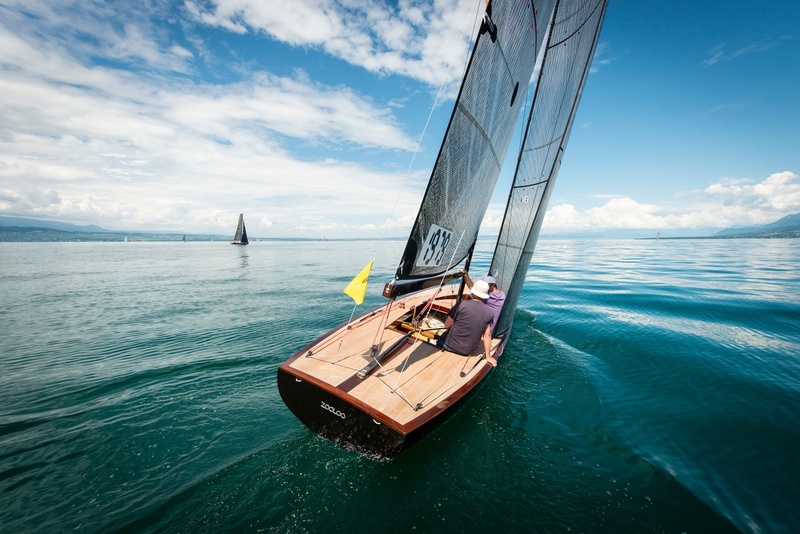 Next big Lake challenge will be Round Lake Balaton. 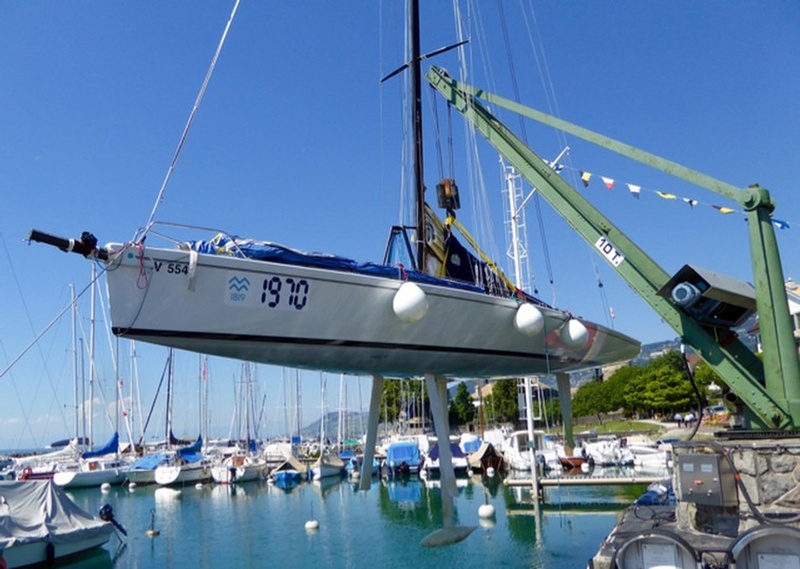 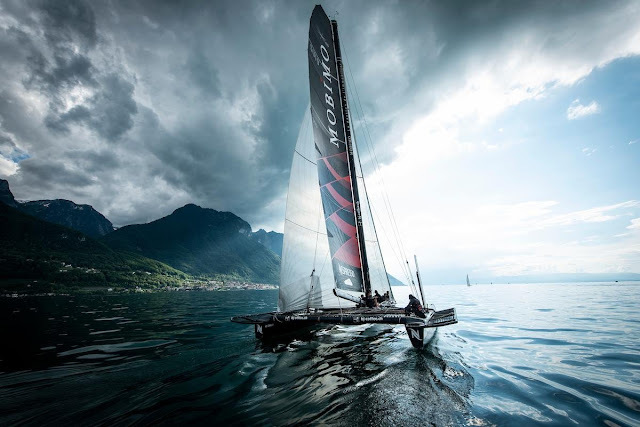 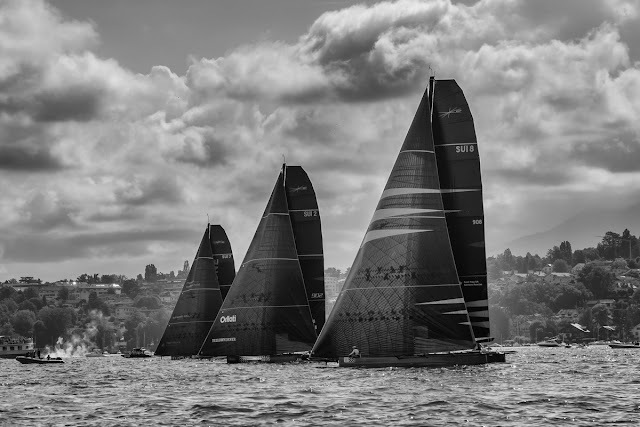 More info latet on the modified AC45 being prepared and modified by locals yard/loft.